Monticello will soon have a new restaurant specializing in Northern Italian cuisine. 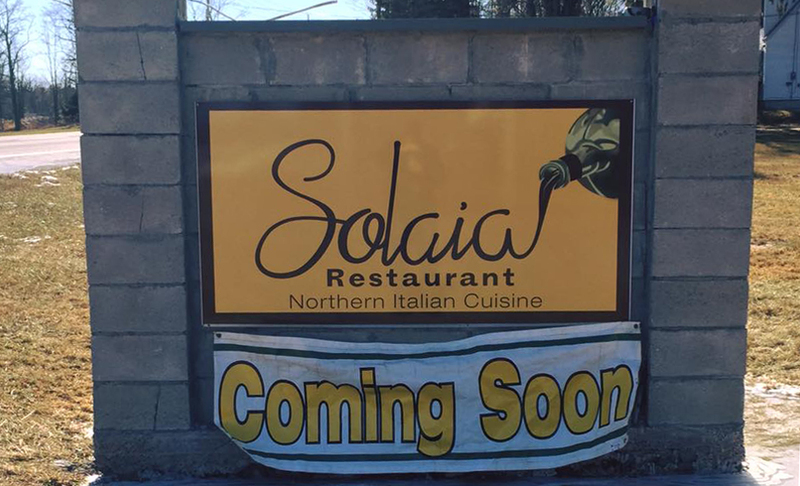 Solaia Restaurant is set to open within the next couple of weeks just outside the Sullivan County village, pending approval of its bar permit and final health inspections, proprietor and chef Isnija Gashi told Catskill Eats. “Everything is ready to go — we’re just waiting on the liquor license,” Gashi said. Solaia will serve dinner Monday through Saturday, with a menu featuring housemade pasta dishes, seafood, veal chops and other specialities, Gashi said. Both a la carte dining and a three-course prix-fixe meal will be offered. Future plans include expanding to lunch service during the warmer months. The 90-seat restaurant was most recently home to a steakhouse that closed more than a decade ago. Gashi and his team, which includes his daughter and son-in-law, have renovated the building. The long-time local restaurateur also owned Toni’s in Monticello for about three years, and worked in various restaurants in Connecticut before moving to the Catskills. Find Solaia Restaurant at 3317 Route 42 in Monticello. Check out more Sullivan County restaurant news here. Been waiting for a liquor license forever it seems! Why the state has to drag these applications on forever is beyond my ability to comprehend!